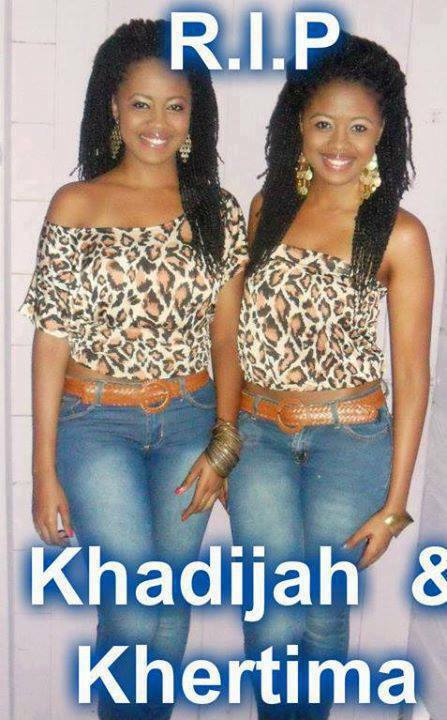 Two occupants of the vehicle, 18 year old twin sisters Khadijah & Khertima were thrown out on impact. Their heads were completely smashed on the roadway. Kafiya Gill died along side the twins. 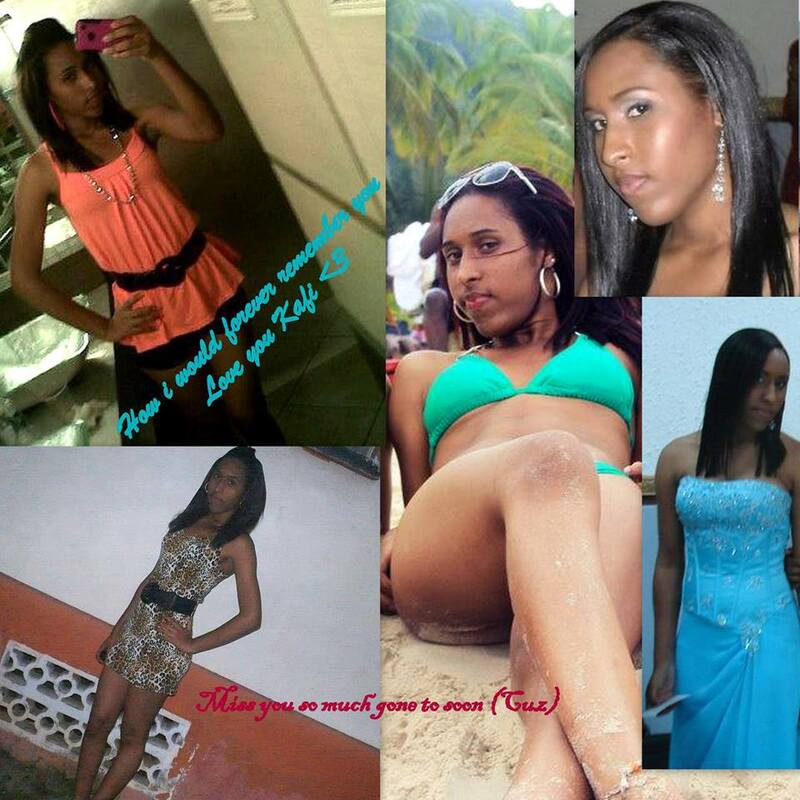 19 year old Kafiya Gill, died at the San Fernando General Hospital as a result of internal injury. Sad story...prayers to the family!! TO EVERYONE PLEASE NOTE THIS. I KNOW THE DRIVER. HIS NAME IS DAVID BALISSOON. NOT ANTHONY. WENT TO PRIMARY SCHOOL WITH HIM. Attractive girls wit Big Happy Smiles, Wota Loss . .earth has lost 3 Angels. .My heart goes out to all affected by this tragic accident. 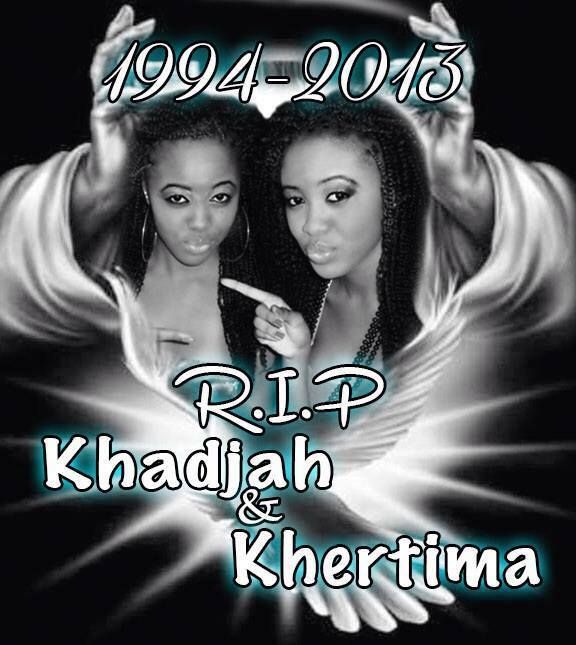 .i'm sure Kafiya Gill, Khadijah And Khertima Taylor will be sadly missed . . Many tears for the 3 Young and Attractive Ladies . . R.I.P. RIP. My heart goes out to the family. Beautiful young ladies! Condolences to all of the families! i am so sorry for who ever daughters this is. A s much as i sympathise with the family am sorry to note that they are not in a better place now. were they saved? they are probably languishing in hell and they are wishing that the people of the Earth repent so they may not end up in Hell. Heaven is real just as Hell is real too. What you need to do is shut up, you do not know where they are now, this is time to sympathize and not add salt to the injury the family is already nursing. They may have repented in the car on the way back you have no idea so just have some type of chill abeg. May God give the family peace and comfort,our prayers will be with you and your family. That is so so sad. They entered this world together, did everything in life together and passed on from this world together. God Blessed Jesus rest their souls! Amen! Super Sad! Praying for all of the family and friends that loved these 3 beautiful angels! 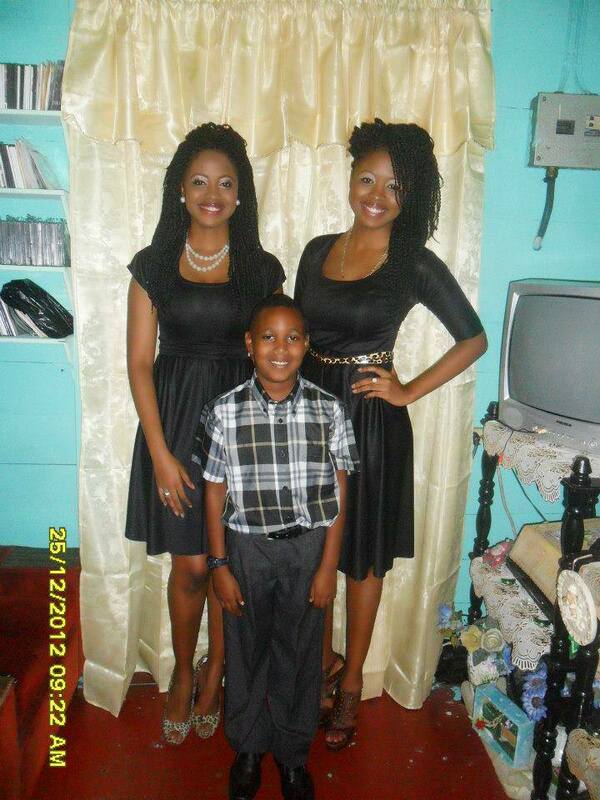 May their soul R.I.P To the family, may God comfort you in time of your sorrow. 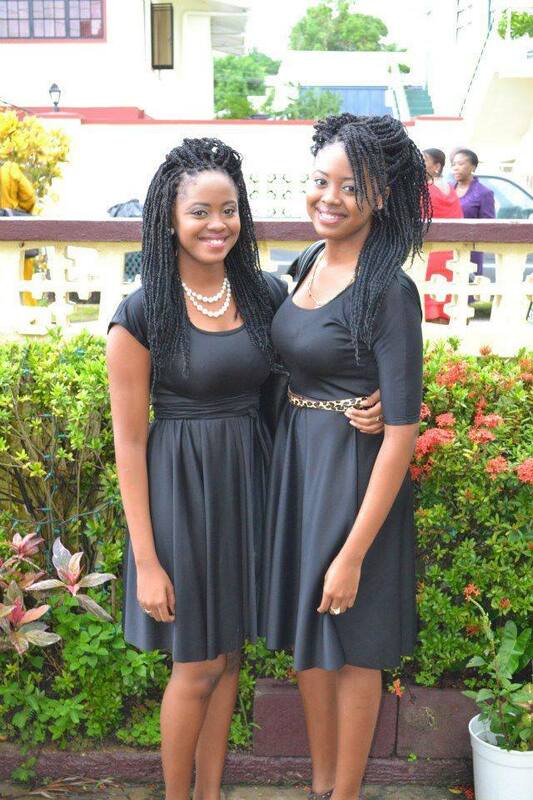 My heart go's out to the parents of these two Beautiful young lady's,whose life was cut short at such on early age. Life was just starting for them. May their soul unite with our Heavenly Father. 1luv!!! 18 and dead! Why? Its because of no parental guidance! Every picture of them is saying "Come party with us!" There is no reason 18 year olds should be out at 4 in the morning if mom and dad were paying attention! Im sorry for your loss, but I think you could have done a better job to prevent this. Actually, I beg to differ. 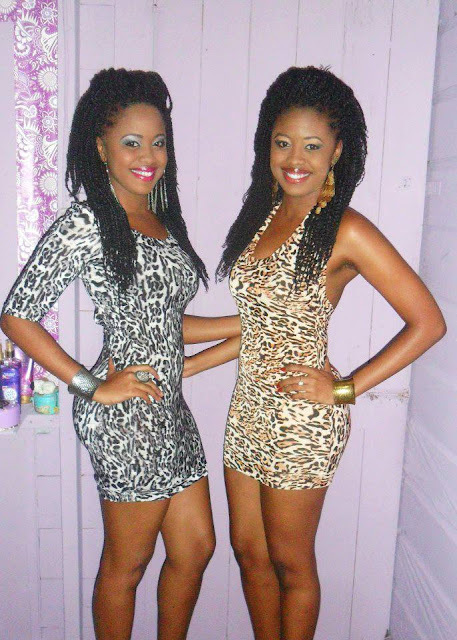 So two twin sisters who had a passion for fashion posing together says "Come party with us!"? No. Last time I checked 18 was a nationwide age of responsibility. Granted that some 18 year olds tend to abuse the right of adulthood, but I refuse to believe that these young ladies were irresponsible. I suppose people cannot have a wonderful night out without people like you criticizing the parents. Also, you must not have read up on the actual story because then you would realize it was not the twins fault the crash happened, but in fact a separate young man who unfortunately lost control of the wheel. 18 year olds are adults according to the law so their parents have nothing to do with his situation. I partied hard at 18 and my mother did an awesome job raising me. I went to college at 17 and most of what I did my mom knew nothing about. I'm sure that was the case with these young ladies. Blame George Zimmerman for killing Trayvon Martin but never blame a parent for the cause of their child's death due to the choices the child made.Its a sad situation and obvious you don't have a heart to put negativity on top of a negative situation. I agree. They all were drinking and partying. Never get in a car with a person that has been drinking. They should of been home not out in the streets drinking and partying. Sad. You're not sorry, you're ignorant. They were 18 and grown they were living life. Had you read the article you'd know it wasn't their fault. shut up... they were finding themselves. learning the roads of life and u have the nerve to say that. How dare u. show some respect for the for the lost ones and their family. I thought 18yrolds were considered adults. . So at 18 you can join the military and go "defend" the country but you can't stay out late. This was a tragic event and going doing a woulda shoulda road leads nowhere.. In times like these if you have nothing good to say you should say nothing. .
That has absolutely nothing to do with parenting. They were 18 which means they were grown and could do as they please. They could have been at home with there parents and God could have still called them home. No man knows the time, place, or the hour when God calls we must answer! Vas où tu veux Meurs où tu dois.C'était leur destin, les parents n'y pouvaient rien, elles sont arrivées ensemble dans ce monde, et y sont reparties ensemble.Nul n'est ma^itre de la seconde qui suit. This "https://www.facebook.com/khertima.taylor/photos and https://www.facebook.com/khadijah.l.taylor/photos" is probably why that person commented like that; but lets not fight with each other "it cannot help or change the situation." Lets keep praying for their moms, for they are still here and this is something they'll have to face until they let go and give it all to Jesus Christ; who'll be able to give them freedom, peace and anything else as He see's fit. Wow. Just because they are beautiful fashionistas doesn't mean they had parents who didn't pay attention. And get your facts straight. Death can not be prevented. They are gone because it was their time to be guardian angels. Just look at those Two beautiful angelic faces. 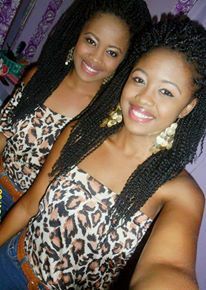 AM A TWIN MYSELF.....SO SAD... REST IN GODS ARMS!!! If you cant say anything respectful in this time of need why comment at all? Who cares how old they were and where there parents were at the timw. Have some DAMN respect! My Condolences to all of the families. GOD BLESS! How disgusting of you to come on here advertising! I feel soooooo overwhelmed by this. This is just too sad. FOR HIS CREATION EVEN THOUGH IT WAS CUT SHORT. You are being so judgemental! How dare you blame their deaths on the parents! I only saw one picture of them with party attire... So you're saying all of us should be dead? Because all of us have gone to a party or two! And I'm pretty sure that if they went to school at a convent that they had some sort of parental guidance. I pray that The Lord has mercy on your soul and that you never know how it feels to lose 2 children at once! How dare you chastise the parents when they are experiencing a major loss! Instead of saying I'm sorry for your loss you beat up on them...You should be ashamed of yourself! Cold hearted demon! Anonymous,...Yeah you the one just above^^^^^^ You need to go and take a whole bottle of sleeping pills and make your self a stiff drink too while you are at it and put yourself outta your misery! This paage is for Sympathy and loving Life! Not some jerk-off that wants to hide behind his computer and make ignorant comments about something so bad. I should be using my positive energy but i had to check you and as far a parental guidance obviously your parents went wrong cause what kind of person would say the things you did only an evil-devil. My name is Linda from Tampa i dont need to hid behind a screen! May GOD be with the families at this difficult time. To those who choose to scold these poor parents....shame on you!!! These people have just buried two children and the best you can do is judge their parenting skills!!!! This could have happened whether these girls were 18 or 28!!!!! Your parents should have taught u some manners!! Smh...This is why people shouldn't drink and drive. If you know you have been drinking then don't drive, I don't care how much of a good driver you are, don't endanger others long with yourself; Just remember. Keep this in mind people.!! 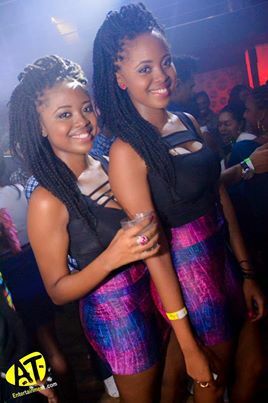 Rip to the twins who had to leave earth at an early age, my condolences goes out to the family and friends. This was NOT in America. Laws are different in other places so maybe there was a reason for these girls to be out. You should be ashamed of yourself for blaming these girls parents in any way. I really hope God holds this family and the family of the other girl who dies in his healing hands. 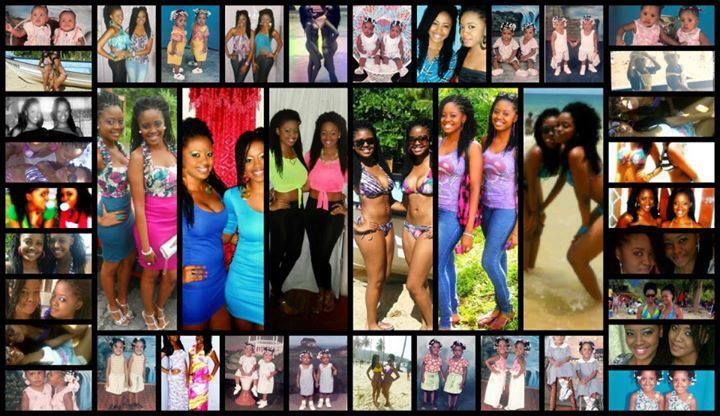 RIP to these beautiful 3 girls. Gone to soon. Praying for their families. 1. Ummm, they were adults dumbfuck and you are how old? If you are older then you were this age once. 2. People make mistakes because people ain't perfect. It's just unfortunately this was their last. 3. It ain't yours to be judging people because how would you feel if it was a family member/friend or even you? Ugh. People like you are what's wrong with the world. There parenting has nothing to do with preventing them from dying, Careless drivers are the reason, be responsible if your going to drive. These girls parents probably weren't expecting this to happen. You can't put the blame on them. Your kids look. Beautiful and my heart goes out to your family they look like they were very close so god took both his kids home. My prayers go out to the other girl family to god bless u at this sad time. So sad praying for the family. Anonymous, these children are gone way too soon, but anonymous to add on the things that took these children away seem to be alluded in time of grief!! And because of that whether drink and driving too fast and not being focused on will apparently continue to stick around to claim more lives!! How much sadder can it get?? condolence to the bereaved family of these girls! I pray for the families of these children. May they take comfort in knowing that they now have special angels watching over them. It is my prayer that they find comfort in knowing that GOD is there for them, to hold them and comfort them. To the fool that wants to post such crude comments at a time like this...I pray for your cruel demented soul. That you never know the tragedy and hurt that these families know. For I surely know that a person that would take the time to write something like this would not want sympathy, empathy and compassion from anyone else if this were to happen to them; and I would hate for people to waste their prayers and words on a vile and mean person like you. Saying you should be ashamed of yourself is a waste of words because your comment relays that you have no shame or common sense. Didn't you learn "that if you don't have anything nice to say then don't say anything"? Omg this is so sad ;(( ! they were and still beautiful, i hope they rest in paradise ! #Rip #Beautiful #Twins! THAT'S ALL THAT MATTERS . RIGHT? I recently lost my 17.5 year old daughter in a similar situation. It helps if the girls knew Jesus Christ before they died. You never realise how important religion is until a moment like this. My daughters name is Kiana Hutchinson on Facebook. She has a Memorial site also. So true, " one of the best I've heard so far." Once Jesus is in the midst "though no one's perfect, but at least we know that there's hope; for spending eternity in heaven." R.I.P. Extremely sad. My condolences to the family and friends of these beautiful girls. wow feel like I knew these girls..
my heart hurts and goes out to the Family of all #3 young ladies.... God almighty do your work lord and comfort the Families cause this will be a time healing.. Lord you knw all things... My god---- In JESUS NAME!!!!! R.I.P the beautiful princess may you soul rest in peace Amen..
R.I.P GOD KNOWS THE BEST..
give them the fortitude to bear this great loss. to us all here, we dont need to throw insult at anyone, everyone have the right to express their opinion. this may not be the right time to apportion blames but we shld consider every word and advise given. , true but everyone is responsible for whatever happens to the life God gave us. our body and soul. i have grown children and cant really control what they do when am not around but i dont fail to lead them in the right part. let us not cease to counsel and caution our children, too much of everything is bad. nothing wrong in partying but everything is wrong in not doing it responsibly. may God help us all to do His will, no one is perfect. no amount of condolences can console the parents of the dead, only God can comfort , let us not cease to intercede for one another. Very sad and unbelievable. What a dismay. May their souls rest in perfect peace in the bosom of the Lord Almighty. My profound condolences to the families. So sad incidence, can someone just stop and let the innocent sleep in peace,while you face your own business and life.I hate it when people argue about the dead.None of you know nothing that happened because you were not there and you are not God so leave Jesus out of this and be realistic.Thank you.